Foods that increase fertility — could infertility and nutrition be linked?! Sometimes it seems like forever ago that we struggled with infertility. I've had trouble getting pregnant and also carrying babies to term. I've had many miscarriages, and with 10 babies waiting for us in heaven, what a party we'll have someday! It wasn't until we “gave up” ever having more kids that we were able to conceive again, and yes I think stress is a factor, but I did still have miscarriages on and off after that, due at least partly to what I found out later was a genetic translocation that I carried which can cause miscarriages. God helped us through it all, and sometimes I still can't believe we were finally able to have FOUR kids. This picture is one of my favorites, taken after our youngest was born. I'm sure now that nutrition played a part in my inability to conceive for a number of years, but I blindly followed whatever the docs said, and trust me, they know nothing about nutrition. I didn't even THINK to look into a connection between infertility and food, or to try and find foods that increase fertility. I also didn't look at other natural options to increase our chances to conceive and finally have another baby. If you're struggling with infertility now, I hope that you'll be open to a variety of ways to finally conceive, not just conventional/medical options. 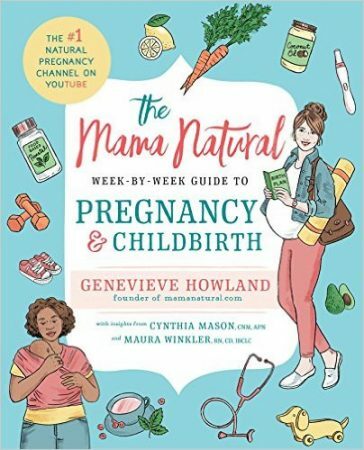 The nutritional or more natural solutions in the links below have helped many women conceive and carry babies to term. If it weren't for what happened with me, and the stories I've heard over and over since then, I probably wouldn't believe how powerful real, traditional foods can be. But once I found the Weston Price Foundation (read my “food conversion' story here) and learned the principles of true nourishment, my body became healthy after years of eating so many rotten foods that I had no idea how bad they really were for me. Not only does eating better help women get pregnant and have healthier pregnancies, it also makes healthier babies too! Be sure to read more about the foods that increase fertility below! After you've explored it all, implemented a healthier diet, and tried everything, what if you're still unable to conceive? I pray that your heart is at peace with it, so you can still enjoy this amazing life that you've been given. Whether it's by using your gifts to help others in some way other than motherhood, or by opening your heart up to adopting a child who needs a home. God is still good, even when we don't understand all that life brings us. That particular miscarriage was after our second son was born. We've been blessed to have two more babies since then, and I learned just how powerful that prayer of surrender can be. If you've had similar issues and learned about foods that increase fertility, nourishing diets, and more natural infertility treatments, etc., please comment below and share your story with us! Foods that increase fertility: Eating enough healthy fats is SO important for fertility and healthy pregnancies. Read more about healthy fats here. Read about more alternatives to conventional infertility therapies, including NaProTECHNOLOGY – for those who need more in-depth treatment options. 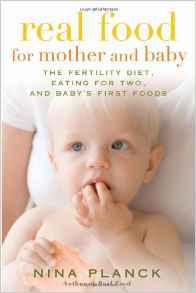 Here's a post with an excerpt about infertility and PCOS (Polycystic Ovarian Syndrome) from Nina Planck in her book: “Real Food for Mother and Baby: The Fertility Diet, Eating for Two, and Baby's First Foods “. Another Real Food Miracle Story with a Surprise Ending! Your baby can’t breastfeed for some reason? Don’t use commercial formula, find homemade baby formula kits complete with everything but the fresh milk and cream here. Learn HOW to make homemade baby formula here. Weston Price Foundation guide for feeding babies. Parenting posts you may not have seen. This post has inspired me to be more diligent about our diet and FCLO/butter oil. We have been trying to conceive for 5 years with no luck, and with the issues my husband has it looks grim that we will ever be able to. But I know that God is able to do all things, so I never give up hope, I just try to prepare myself for either scenario. We switched a year ago to raw goat’s milk and pastured eggs, try to eat lots of butter and coconut oil, and take FCLO/butter oil. We have salmon roe to take, but it’s SO yucky that it’s hard to motivate ourselves to take it! I just started to make sourdough baked goods last month, and we eat very few processed foods (but we do cave once in a while…). We will look into adoption when we have a more stable income, but for now we are just trying to do all we can to eat real foods and not lose hope. Thanks for the needed motivation! It’s easy to get lazy about some of these things when you try for so long with no success, but I know Heavenly Father awards those who patiently wait on Him. What a beautiful, evocative story. You will bless others by sharing it. I have not had to endure such heartache but know much good will come by sharing it with others. Thank you. I could go on and on on this topic of pregnancy, miscarriage and loss since my husband and I have walk down similar paths. I have come to realize that carrying babies is just as much a spiritual journey as it is a physical one too. As much as I agree with nutrition playing a big role in pregnancy, and I do, it too can fail in the process of childbearing. You can do everything right and someone else do everything wrong and you still not be able to conceive or bring a child forth from the womb and they will. Right now I have a someone I know that is hooked on prescription drugs, had an affair, got pregnant, is living a lifestyle eating mostly sugar and she’s going to have her baby in any week. I, on the other hand have eaten correctly, loves God and my family and have lost 3 children, the last one being last February at 37 weeks. And by the medical community I am not high risk. So what is it then? What is keeping some women from having children? Like I said before there a spiritual side that needs to be looked at too. I realized when I was giving birth to my stillborn daughter that I had allowed myself to listen to a fear of death in losing my children. It has taken my peace and robbed me of my sound mind for way to long (6 years). Isn’t this what Job said ” the very thing I feared has come upon me.” This revelation has lead me on a journey of finding God in this specific topic. ” Blessed are those whose strength is in you, whose hearts are set on pilgrimage. As they pass through the Valley of Baka, they make it into a place of springs, the autumn rains also cover it with pools (blessings). They go from strength to strength, till each appears before God in Zion.” Psalm 84 5-7. Some of us have been in a fighting a battle we never enlisted in over our womb. I don’t have many answers yet but I know God does, and I’m planning to search them out.In proverbs it says “It is the glory of God to conceal a matter but it is the honor of kings to search it out.” God will bless us in our “pilgrimage” if our strength is in Him and not in our own. I am convinced that God didn’t need to take my babies away nor am I rejected by God in the area of child bearing. I only saying this because these have been lies I have encountered and at one point believed ( especially the rejected one). In fact there is a excellent book called “Supernatural Childbirth” that talks about the promises that God has for us in the area of childbearing. I’m sorry if this was too long of a comment or not on topic enough of nutrition. This is just my place in the journey and I wanted to share it. Have you read the book, “Ten Prayers God Always Says Yes To”? It came to mind when I read your comment because it helped me through a funk last year when I was really struggling with that age-old question of why our loving Lord still allows the bad things that happen all around us. The IVF/ICSI cycle cost us $17,000 and an adoption can cost between $20,000-$50,000 plus travel expenses. It’s horrible. Christine and I dealt with this issue and have come to terms that having biological children of our own is not going to happen. We are exploring adoption, but it is not as easy as people think it is. If I hear one more person say, “Well, just adopt a baby” than I think I’ll scream. It’s just not that simple. THANKS for broaching this topic, Kelly! I can relate Jimmy, ooooh, the stuff people say…….. We heard some doozies, too. One comment was so hurtful that I won’t even share it here, but yet the person who said it has such a big heart and is just completely dense at times, so I knew this and forgave her right away. I know there IS so much more to adoption than people realize, not to mention the COST. It’s so wrong that it is so expensive when that’s all holding many great couples back from giving a child a great home. Yet at the same time, a professionally handled adoption (which kids and families need and deserve) costs money… No easy answers. Praying for you, Jimmy!! Merry Christmas! I sent you a private email last week regarding secondary infertility but I don’t know whether or not you recieved it! I’ll repeat everything here as it is becoming clearer to me that there are more of us suffering from this problem than I thought! I discovered your blog through catholic mom.com and was shocked and at the same time reassured that you went through exactly what I am going through and yet you have managed to have 2 more children. There is hope, apparently. I am a canadian opera singer living in Italy, married to an italian, with two beautiful boys aged 5 and 4. However, the past 2.5 years have been HELL. I just had a fifth miscarriage last week for no apparent reason, and believe me, all blood tests imaginable have been performed on me, as well as ultrasounds, we even had chromosomal testing done as well as DNA samples taken . . . There is no explanation for our losses. Could you please let me know which books you read, how you managed to cope? What was your turning point? We eat fairly healthily(very little processed food) but the italian diet is quite high carb. I’ve done my research and have found out where I can purchase raw milk (latte crudo). Can you give me other suggestions? I’m so sorry I didn’t get that email!! 1. My first piece of advice is to ALLOW yourself to hurt, just let it be! It is *normal* to feel like crap after such a loss! It is OK to be pissed off. It is OK to be angry at God, He can take it. 3. My turning points were many. I had to give it all back to the Lord over and over, because in my flesh I kept wanting to control it all. So when I’d be all anxious about it, it always helped me to sit down, take a breath, cry out to God in my heart, and LITERALLY open up my hands and tell Him again that it’s all His. Give Him your life, your boys, your husband, your fertility, your everything. Do it 10 times a day if necessary. Through this the grace comes. 5. Trying to go low-carb is a great plan, and that you eat very little unprocessed foods is perfect. Do you also eat liver, cod liver oil, fish eggs and plenty of egg yolks? These are fertility superfoods. Also plenty of bone broth and raw milk. 6. Lastly, the other way I dealt with it, besides clinging to God, was to count my blessings as often as possible. I’m sure you already do this, but every time I felt like crap, I’d start the, “At least….” phrases. “At least we already have our Kal Pal.” “At least I get to be a Mom.” (And I’d pray then for those who go through infertility and miscarriages who have NO children yet.) “At least we’re all healthy otherwise.” And on and on. You may very well end up with a large family, but you might not, too. You may only have those two precious boys to raise and how blessed are you for that opportunity?! Not to lighten the heavy sadness you’re feeling at all, again this is normal and perfectly understandable and I am so sorry you’re going through it, but my prayer is that you do not just “get through” this time of infertility, but that your life SHINES through it. You mourn, of course, and you rejoice knowing you’ll see your children again in heaven someday, but you do not let this take over your life. You continue to be the wife and Mom you were meant to be, enjoy raising those little cutie patooties, and live well. 🙂 You can do it. I’ll go check spam and see if it went there for some reason. as my husband and I continue to repeat, we are most fortunate in that we are going through this terrible time WITH our two little boys, which helps us to keep everything in perspective. The difficult aspect of this soul journey is reconciling our belief in a loving and compassionate God with what is happening; how could Our Lord allow all those little ones to die? Then again I return to the fact that I am so blessed with my husband and my beautiful children. It is a cycle that repeats itself numerous times daily, and I am slowly beginning to realize that it is very difficult to understand Christ’s suffering without some first-hand experience. As my priest has said, we can offer our suffering for the expiation of our sins, for the conversion of others, for the faithful departed . . .I try, I really do, but this time it is more painful than the last. I was just so SURE! ANYWAY, I have my first order of raw milk arriving so I really hope my boys like it! I wanted to ask, is it possible to buy butter, yogourt and other dairy products made from raw/ unpasteurized milk? Or do you make it yourself? As I mentioned before, the tests we have had done have been for: V Leiden (antibodies connected to the production of small blood clots – I THINK! ), Celiac disease, Lupus, chromosomal anomalies. All negative. I checked the PaulVI Institute and was surprised to discover that 85% of women suffering from secondary infertility have endometriosis. My gynecologist says that the no. 1 specialist in endo. in the world is here in Milan, although he also states that these specialists are convinced that treatment doesn’t resolve spontaneous abortion. The Pope PaulVI Institute states otherwise! So I’m going to insist upon a laparoscopy, even if it means going under general anesthetic AGAIN. And I’m going to call the institute to see whether they recommend a visit or whether or not that can refer me to a specialist whom I can consult on my next visit to Toronto/Vancouver. Plus we’ve already changed our diet for the better and have begun to red flag foods that you are no-noing. What do you say about coffee, alcohol, beer, chocolate? Do you have some sort of food guide for daily requirements? Do you have a “fertility” diet? Rebecca, I have the BEST book to recommend to you that really helps when we struggle with all those “why” questions: “Ten Prayers God Always Says Yes To.” You’ll love it. You also asked about buying raw dairy products, the answer is IF you can find a source for them nearby. Usually you’ll need to make them yourself. “What do you say about coffee, alcohol, beer, chocolate?” – I’d say a little is prob fine, but others might disagree. Have you seen my Real Food Ingredient Guide? (Click the “Real Food Guide” tab at the top of this page.) If you’re following that stuff (with LOTS of healthy animal fats!) plus the foods I mentioned last time (those are super-fertility foods), then you’ll be on the right track. Thank you so much for your reply to my email and your kindness! I will try your suggestions. The other day I found out one of my dear friends who just turned forty is now pregnant. She was married five months ago. We met in a Catholic Singles website on one of the women’s message boards when we were both single. We have both wanted to be Mothers, but wanted to do it God’s way and find good Catholic husbands first. We both met our husbands on that same website. We keep in touch now through email, facebook, and phone conversations. Our favorite subject to talk about? Being blessed with children someday. My friend and I both decided to pray a 54 day rosary novena together. She prayed for me and my husband. I prayed for her and her husband, me and my husband, and several other friends to be blessed with children. Today was the last day of the novena and a couple of days ago she announced she was pregnant. When I heard the news I was thrilled for my friend, but very sad for myself. I ran away from the computer after reading the news and cried and cried. A few minutes later my dear friend called and my husband had to tell her I couldn’t come to the phone right now. I was balling my eyes out in the kitchen. I couldn’t stop crying that whole evening or the next day. I kept asking myself: why her and not me? Isn’t God and the Blessed Mother hearing my prayers? Why is it when I pray novenas and other prayers for others to be able to become pregnant, they become pregnant (this is the third time this happened!) but never me? I just don’t understand it. Sometimes I feel God isn’t hearing my prayers and I feel abandoned by God. Here it is that I’ve been trying for three years to become pregnant and I haven’t been able to get pregnant once! Ever since last year after my second surgery my cycle has skipped three times. I don’t seem to ovulate every month and I see no evidence of cervical mucus. Could this be because of my weight? Drinking too many pepsis, sugary drinks, and candy?? I feel really sad and discouraged right now. My Napro Catholic pro-life doctor recommended me to lose weight. I lost thirty pounds, but still I wasn’t able to get pregnant. I seem to lose hope a lot, grab a pepsi, and think: “What’s the use? I’m probably not going to be able to get pregnant anyway. See? I have a pretty poor attitude right now. I’ve been crying all weekend over this. One good thing. My friend who just turned forty and being able to get pregnant has motivated me to try again. I want to do it right this time. Unfortunately I have no idea how to eat right, what to eat, or where to start. Growing up we ate a lot of processed food, we microwaved a lot, and ate a lot of sugar. I am very interested in learning how to eat the right way to gain health and to increase my fertility too, but not sure where to start. I would love to buy your guides and take your food course, but husband and I can’t afford any extras right now. We are on a strict budget. He’s not going to allow me to use the credit card to buy the guide or take your class. So sorry about this because your guide and your class looks great! I will print out your suggestions and recommendations and start there. I will do anything you suggest and recommend. My birthday is coming up in early august and I will be forty four. I will do it as a birthday present for myself. Thank you so much again for everything! I really do appreciate it! Hello! I am a new reader to your blog. My name is Maria, I’m 43, and met my husband Ed on a Catholic Singles website. We were married three years ago. We have been trying to conceive for three years now. I haven’t been able to get pregnant even once. My arms and heart ache for a child of our own. I have cried many tears over our inability to conceive. I have been a teacher at a daycare for twenty two years. I love children. I’ve always wanted to be a Mother. I found out two years ago that I have endometriosis stage four. I will be turning forty four on August 2nd. Do you think that it’s still possible for me to be able to conceive naturally at age almost forty four? I am very interested in adoption, but unfortunately we can’t afford it right now. Is there anything I can do? I will admit that I’m five feet tall and weight 161 pounds. I’m addicted to Pepsi and sugary snacks. If I give those up and lose some weight, do you think it’s possible for me to conceive naturally? I never learned how to eat right (or cook well) growing up. I am trying to learn now, but not sure where to start. I could really use some hope, encouragement, and prayers! Also my husband and I have been blessed to find a wonderful Napro doctor and practise the Creighton method of NFP. After my second surgery in April ’09 my periods started skipping and I missed my period three times. I got my hopes up that I might be pregnant, but I wasn’t. I was so disapointed and cried and cried. Please? Is there anything I can do??? First, thank God for His direction, I believe He led you to my site for a reason. Second, I don’t know if you’ll be blessed with children or not, but I do know that to give yourself the very best chance you first need to think about getting healthy and don’t worry about losing weight at all. –Take plenty of cod liver oil every day!! –Cook with a LOT of butter, coconut oil, lard, and other saturated fats!! You need these fats with *every* meal. –Find a good source for pastured eggs and meats!! That’s what rolls out of my brain for now, but I will email you as I think of more so you know how to contact me if you have any more questions. God bless you, you can do this!!! Raine, my heart aches for you. Email me directly if you’d like to chat more, I’d be happy to talk with you via phone, too, if you’d like. Just email me and we can connect. 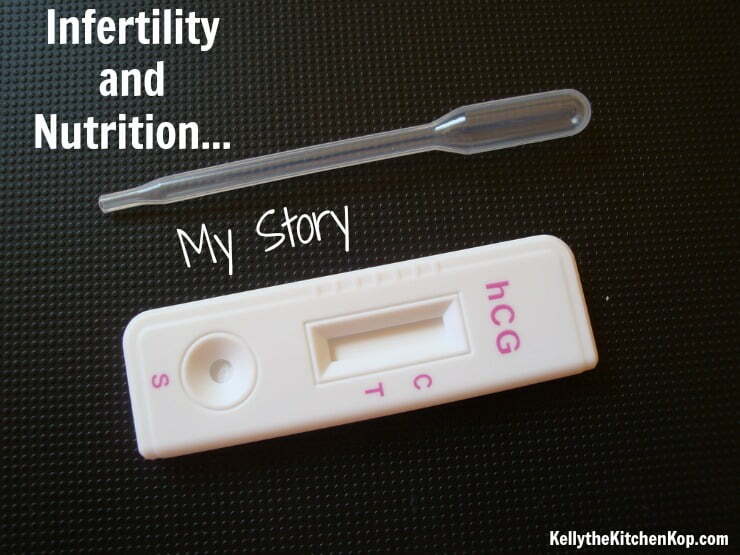 Did you read my other post on this, where I talk about our secondary infertility? Praying for God’s peace to fill you up. Kelly, I love this article so much, but it still makes me infinitely sad because I am one of those people who has committed to the most natural life possible and eat traditional, organic, real foods and STILL have been unable to conceive. Now, my husband and I do have one beautiful, amazing son which has made our lives so full of joy and happiness, which I could never have imagined before he was born. Years ago, we started trying for our second child and I was just finishing a series of cleanses and detoxes and embarking on my new way of eating, so I knew it could take some time. Although my first pregnancy was conceived normally enough, the premature birth of my son and the events which happened simultaneously and directly following took its toll on my body (not to mention the manner in which I was treated by the doctors I was seeing at the time was grossly inept and inexcusable) to the extent that I believe my reproductive system was rendered unable to conceive a second time – read about this story here…https://agriculturesociety.wordpress.com/2009/05/29/my-story-why-i-made-a-lifestyle-switch-to-traditional-foods/. Basically I had a ruptured appendix during pregnancy which was undiagnosed and my son was 9 weeks premature. Then I had gallbladder problems and surgery again for that 7 months later. I had health problems for about 7 years that nearly ended my life. Don’t get me wrong, I am SO grateful to God that I have my son, but feel so sad that I will probably never be able to produce a brother or sister for him. The older I get (I’m turning 40 in August) I realize my chances of conceiving go down even further, and I absolutely refuse to do anything artificial. Right now our financial situation is such that we are unable to do something alternative such as acupuncture or Chinese Medicine, so…that’s where we are at. But thank you for posting this article so that others can know that they have some hope of conceiving without medication and procedures that are harmful. Kelly, oh my goodness. 10 little saints. That just brought tears to my eyes. Thank you for sharing this message about food and our fertility. Kelsey, another Catholic NFP-er. Glad to find you! Now she isn’t taking CLO while she’s pregnant (but it builds babies BRAINS!) because her doctor told her not to…I have to ZIP MY LIPS! Just came across this post. I never cease to be amazed at how much my diet impacts my fertility. At one point I didn’t have cycles for two years, was diagnosed with PCOS and was told by a top OB/GYN and a top endocrinologist that I’d never be able to have kids without medical intervention. They put me on a couple different drugs and rejected any of my questions about the possibility of my terribly unhealthy lifestyle being a factor. The drugs didn’t work that well, so I decided to stop taking all medication and improve my eating habits (I was constantly eating processed foods and drinking a lot). I cut out simple carbs, stopped drinking alcohol and coffee, and started to limit artificial light at night. I got my cycle back in a couple weeks and have had regular cycles ever since (though, interestingly, I’ve noticed that my cycles get weirder and longer the more simple carbs I eat). I now have no problems with fertility. Does that mean if I’m trying NOT to conceive, I should AVOID eggs and butter? Ouch. I agree Kelly, what a precious photo! The picture of you and son is so beautiful!